If you thought having a traditionally white strip would limit the possibilities of alternate jerseys available, you clearly haven’t encountered anyone from the England rugby marketing department. In recent years, they have had the players run out in various shades of purple, while they also had a black kit for the 2011 World Cup in New Zealand. 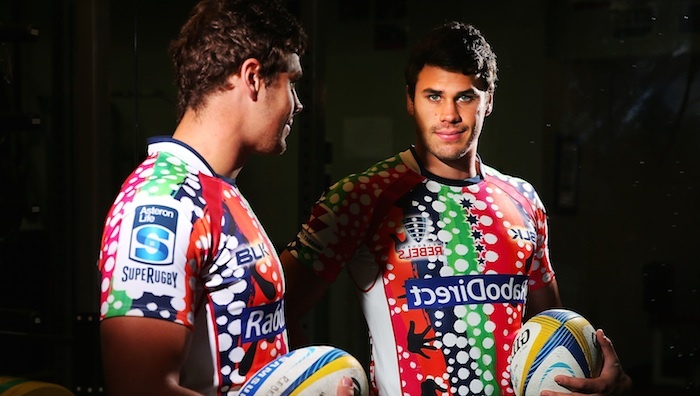 But they saved their worst for the sevens team with this particular number being especially unattractive. You have to wonder who in their right mind ever signed off this monstrosity? From the colours used to the pattern itself, everything about this shirt just screams no! I have a slight admission to make; this isn’t a shirt that was worn for competitive games, it is a training shirt, and as such, was worn for training sessions, and pre-match warm-ups. 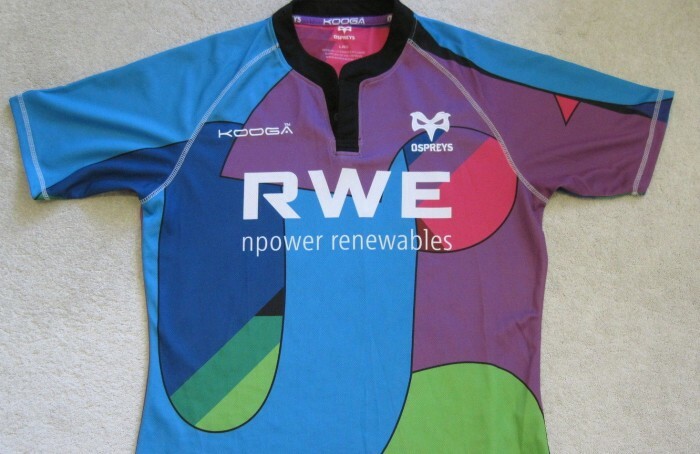 However, as it was worn on the pitch by Ospreys players, in front of fee-paying fans, and sold to unwitting supporters, I do feel that its inclusion is justified for that reason, let alone its overwhelming unsightliness. However, as it was worn on the pitch by Ospreys players, in front of fee-paying fans, and sold to unwitting supporters, I do feel that its inclusion is justified for that reason, let alone its overwhelming unsightliness. The All Blacks’ silver-grey alternate jersey is a common contender for the worst Kiwi sporting kit due to the memory’s it will bring up for all Kiwi fans. But is it really that bad or is our perception distorted by the fact it was worn during that infamous World Cup quarterfinal against France in 2007? It’s probably a bit of both although there were absolutely no tears shed when New Zealand Rugby decided to revert to the traditional white alternate jersey just two years later. Stade Francais are known for pushing the boundaries when it comes to on-field fashion, none more so than what they dished up in 2007. The Paris-based rugby club’s design featured the face of Parisienne 13th-century heroine Blanche de Castille, the wife of Louis VIII, in a multi-coloured design described by club publicists as “in the fashion of Andy Warhol”. High art or high farce? We’ll let you be the judge. No words needed for the new Northampton Saints away shirt.